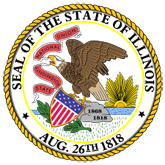 This publication consists of agreements between the State of Illinois acting through the Illinois Department of Corrections and each of the following: ept. of Corrections Amer-i-Can Illinois Incorporated Ashunti Residential Management Bethel New Life, Inc. Campaign for a Drug Free Westside Community Human Services Exodus F.A.I.T.H Inc. For Action in Togetherness Holdfast F.A.I.T.H. Inc. H.O.P.E Hope House Ministries Howard Area Community Center Inspirational Deliverance Center Lively Stone M.B. Church Living Faith Community Church Mother's House North Star Transitions NFP Operation Uplift Sistas of the Hood Vision of Restorations Westside Holistic Center The agreements award grants for services to assist offenders with their reentry into society. 2. Howard Area Community Center (howard.pdf). 3. Hope House Ministries (hopehouse.pdf). 4. Inspirational Deliverance Center (deliverance.pdf). 5. Amer-i-Can Illinois Incorporated (american.pdf). 7. Bethel New Life, Inc. (bethel.pdf). 8. Vision of Restorations (vision.pdf). 9. North Star Transitions NFP (northstar.pdf). 10. Community Human Services (community.pdf). 11. Living Faith Community Church (living.pdf). 13. For Action in Togetherness Holdfast (action.pdf). 14. Sistas of the Hood (sistas.pdf). 16. Campaign for a Drug Free Westside 1 (web1.pdf). 17. Ashunti Residential Management (ashunti.pdf). 19. Westside Holistic Center (westside.pdf). 20. Lively Stone M.B. Church (lively.pdf). 21. Campaign for a Drug Free Westside 2 (web2.pdf).